Oporto’s naughty new campaign pays tribute to the brand’s Portuguese roots. 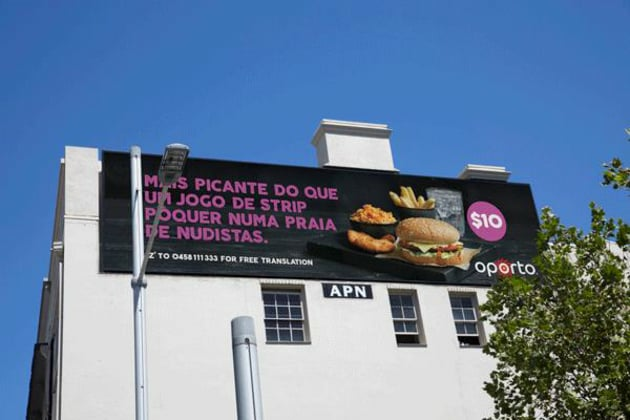 The restaurant has put Portuguese headlines on billboards that when translated reveal some appropriately spicy humour. Oporto’s media agency Bohemia developed the campaign in collaboration with creative collective The Glue Society. The campaign aims to re-engage consumers through the authentic Portuguese story of the brand and put the focus back on the quality of the food and the value. 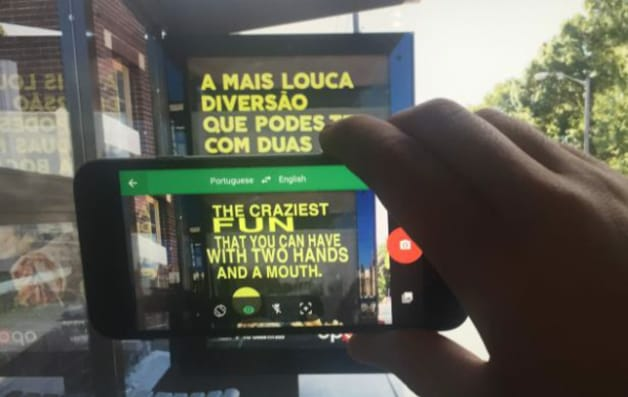 The billboards rely on participation engagement, giving the audience the chance to translate the Portuguese headlines seen across the country into English, using mobile phones via texts or Shazam technology. 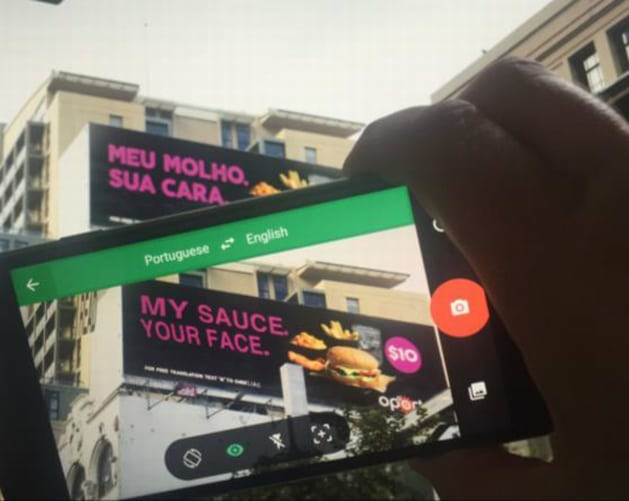 This digitally led journey allows the audience to enjoy the spicy humour of the brand, taking them directly to a Spicy Portuguese campaign hub where they can create their own headlines (verified by Google Translate) and share with their network of friends. Each creative has a unique response chain making the engagement specific to the user. Oporto head of marketing, Vanessa Rowed, says she wanted the agencies to push the boundaries for the campaign. “We are a youthful brand with undeniably delicious food and an irreverent spirit with our heritage at our core. We summarise this, our character, as Spicy Portuguese,” says Rowed. 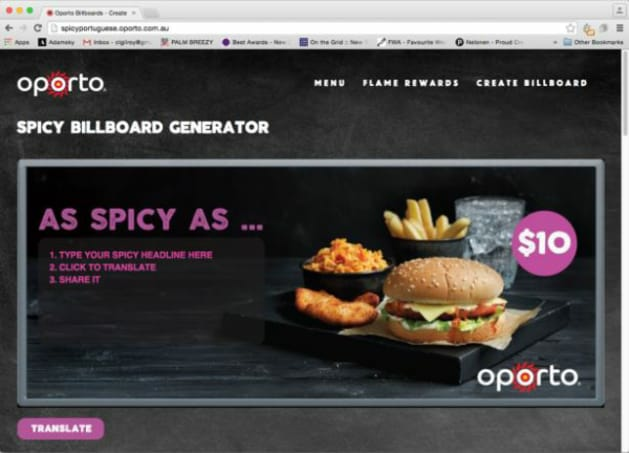 Oporto's Spicy Portuguese campaign will run for the next eight weeks across outdoor, digital, social, influencer networks and through content creation.